For quantity larger than the above list, please call us for a custom quote, we can provide further discount to you. Please note that the delivery time and the actual quoted price may differ from website, depending on final confirmed requirements and stock supply. The final price will be determined after you submit your enquiry and our customer service confirms the actual price and delivery date. Prices will be subjected to 7% GST. * - Charges will be dependant on several factors such as size and number of colours. Please contact our customer service for a more accurate quotation. 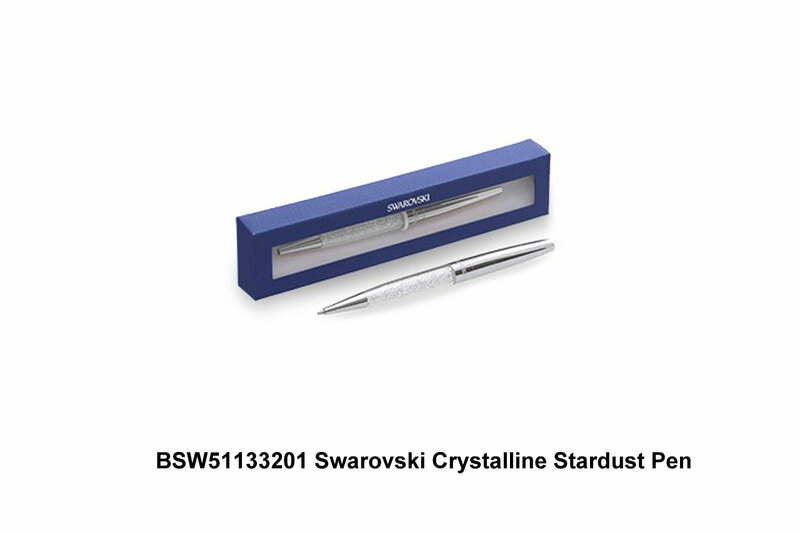 Description The refined and elegant Swarovski Crystalline Stardust Pen sparkles in silver tones. Its body is filled with approximately 1300 clear crystals, creating subtle light reflections as you write. The pen comes in a delicate velvet pouch and high-quality refill can be replaced quickly and easily. A great gift for family and friends. Graphic Direction Pte Ltd © Copyright 2017. All Rights Reserved.